OAKLAND, Calif. -- A quarter-mile-long megaship that's the largest cargo ship ever to visit the U.S. is expected to arrive at the Port of Oakland on Thursday morning. The 1,300-foot-long Benjamin Franklin, the 10th largest containership in the world, was launched from a Chinese shipyard last month and arrived at the Port of Los Angeles over the weekend. It is scheduled to arrive at 10:30 a.m. Thursday at the Port of Oakland, where it will stay at Berth 24 at the Ports America Outer Harbor Terminal until Sunday afternoon or Monday morning, port officials said. The ship is operated by CMA CGM, a shipping company based in Marseille, France. Shipping company officials said they plan to use the ship in regular service connecting China with the West Coast of the U.S.
Oakland is one of only a handful of U.S. ports that can receive megaships, which carry large loads of cargo. The port has invested millions of dollars in changes, including dredging berths and channels to depths of 50 feet, raising the heights of cranes and modernizing marine terminals, port officials said. 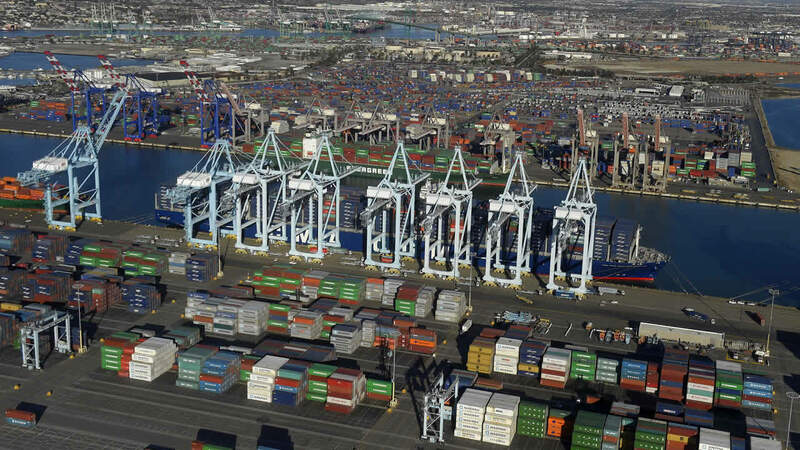 Last month, port officials announced they will be raising the height of four gantry cranes at the Oakland International Container Terminal by 26 feet to accommodate megaships. The $13.95 million project is scheduled to begin in April.